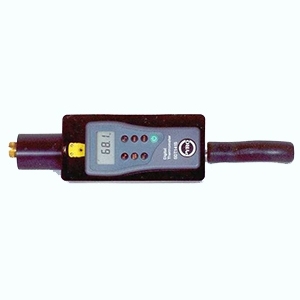 The Pyrometer Digital 250-LTDuty digital thermometer is a low-cost, light-duty, digital pyrometer temperature sensor. The digital thermometer pyrometer is ideal for temperature sensor measurement using thermocouple thermometer K type thermocouples. The hand held case is made from durable plastic, which is enclosed by a shock resistant rubber boot with a flip out rear bracket from stand up viewing. The thermocouple-input jack is a standard mini flat pin connector for easy thermocouple interchangeability. The Digital 250-LTDuty accepts either J or K thermocouple inputs. Instrument accuracy is +/- 0.3% reading. 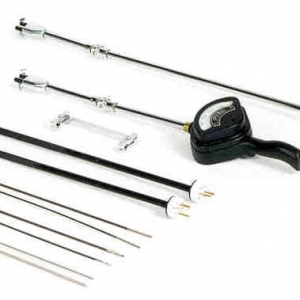 There is a choice of 14 different thermocouples to meet most process measurement applications. 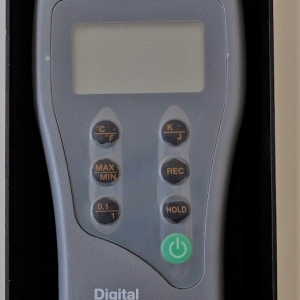 The PYRO Digital 250-LTDuty digital thermometer pyrometer can accommodate a wide variety of thermocouple tips that are suited for many types industrial and commercial applications.